If the pages of the virtual calendar didn’t read “last chance,” then the weather forecast did. 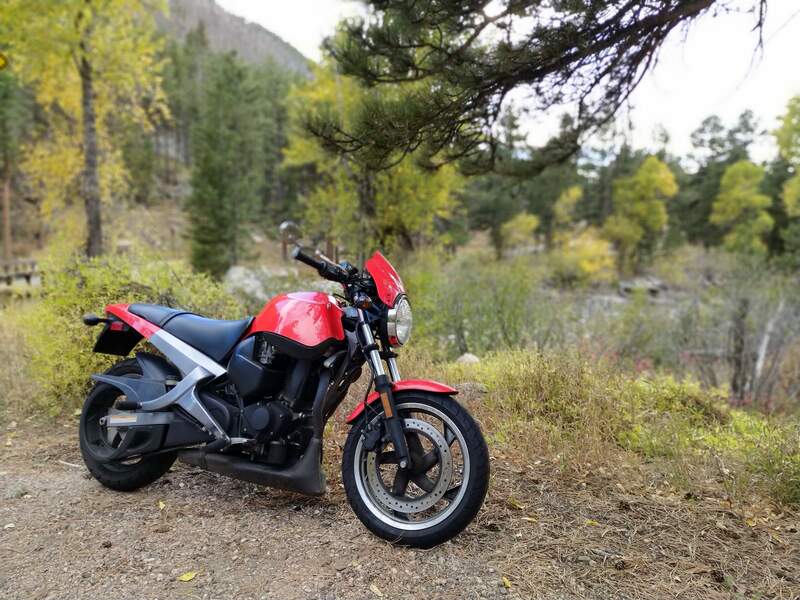 The leaves of trees in the Poudre Canyon would not hold their warm and vibrant autumn colors forever, and with today being the pre-ultimate day of high temperatures into the 70s before cold weather being forecast, it was now or never to get out on the motorcycle to view them. Either that or plan on wearing thermals, a scarf, several more layers, and super thick gloves. No thanks. As it turned out, I was really glad to take an afternoon break on this Tuesday. Colorado State Highway 14 had very few vehicles, the air was undisturbed, the atmosphere was tranquil. Well, at least until I came along. 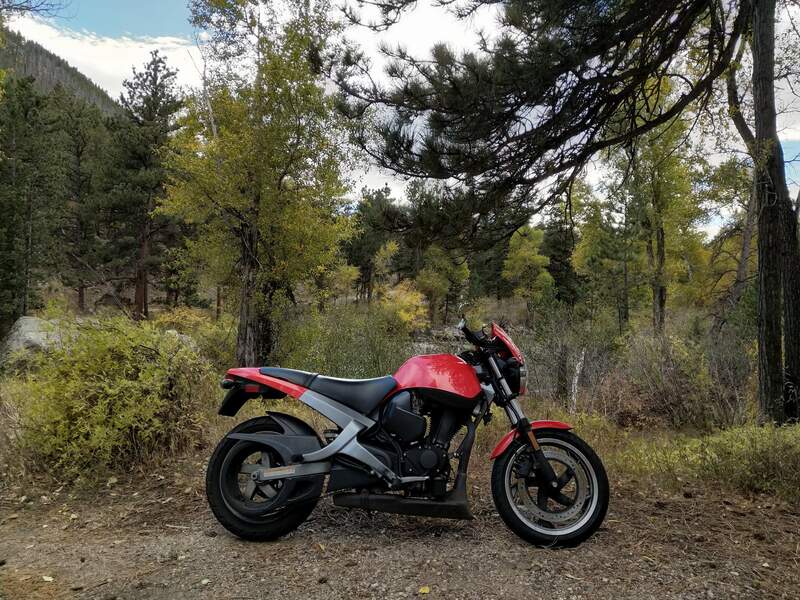 Anyone within 100 feet of the Buell got an earful of snap, crackle, and pop, with spirited shifting and revving of its thumper measuring just over a pint in displacement. On this autumn day, I couldn’t help but bless the internal combustion engine. Perhaps in our increasingly electrified future, with climate change and all, the ICE’s days are numbered. Just like the fall colors in the Poudre. So you got to enjoy them while you can.